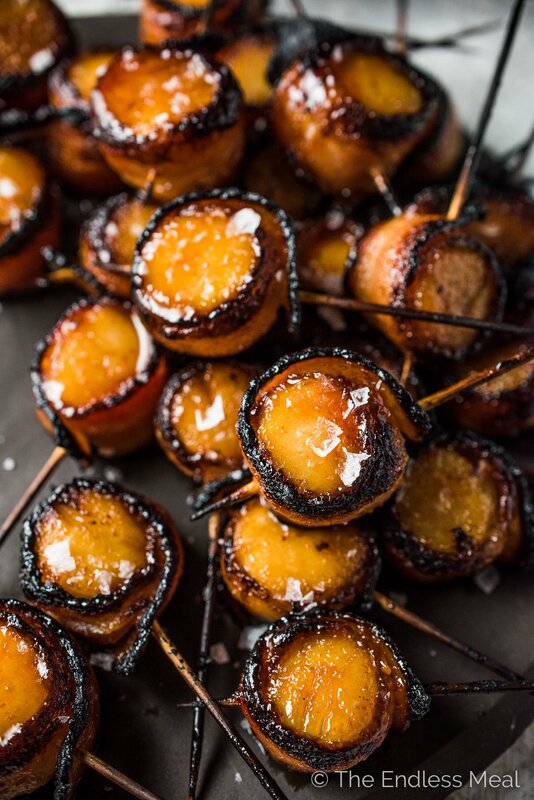 Big, juicy scallops are wrapped in bacon, dipped in a honey sriracha glaze, then broiled until the bacon is crisp and the scallops are perfectly cooked. Irresistible! Place a baking rack on the top shelf in your oven (and keep the other in the middle) and turn your oven to broil. Place some toothpicks (you’ll need about 20) in a cup of water. Contributor: Kristen Stevens from The Endless Meal.